Church Service is held on the third Sunday of every month from 10:30 AM – 11:30 AM. Lunch is provided by One At A Time to all church members in attendance for services immediately following the church service. Church service is held at the Corner Café which is located at 301 E. 7th Street, Los Angeles, CA 90014. 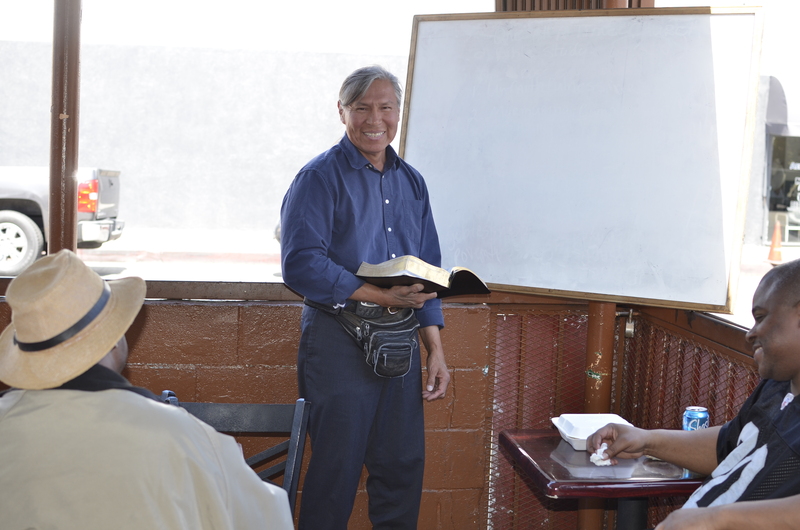 Bible Study is held at the Corner Cafe every Wednesday from 1:00 PM – 2:00 PM. Bible study is led by Newton “Chief” Burr. 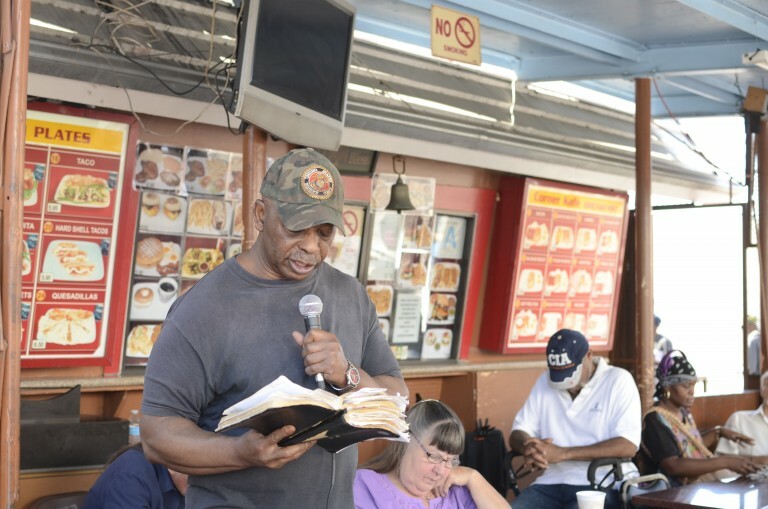 Bible study is also held in the outside patio of the Corner Café which is located at 301 E. 7th Street, Los Angeles, CA 90014.